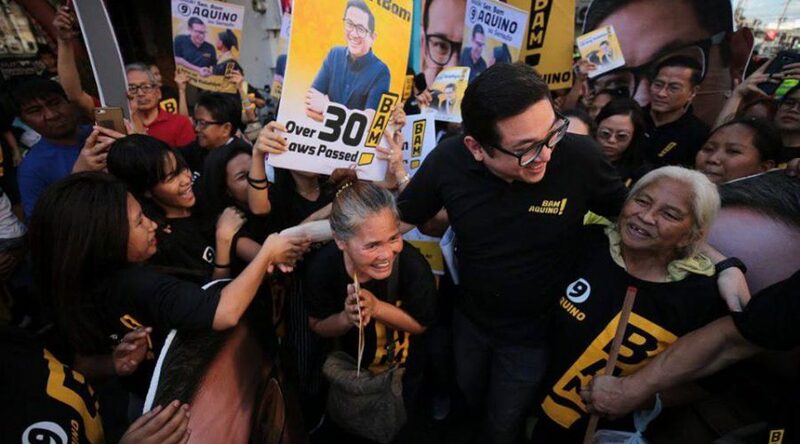 The May elections should center on addressing the needs and other vital issues affecting the Filipino people, and not on President Duterte, according to Sen. Bam Aquino. “Ang nais sana namin sa kampanyang ito ay hindi lang maging tungkol kay President Duterte o tungkol sa aming walo. Tungkol ito sa taumbayan,” said Sen. Bam, who is running under the Otso Diretso coalition. “Ang eleksyon na ito ay tungkol sa mga boses na matagal nang hindi napapakinggan. Panahon na para ang mga sinasabi ng mga boses na ito ay maging bahagi ng mga programa ng mga ihahalal natin,” added Sen. Bam. Sen. Bam said the coalition is focused on crafting solutions to the everyday problems hounding the Filipino people, including high prices of goods, hunger, poverty, security and human rights, among others. “Nagbabago ang kwento ng kampanya dahil lumalaki at tumitindi ang pangangailangan ng taumbayan dahil sa hirap ng buhay. Ang tanong nila, sino ba talaga ang makikinig sa pangangailangan namin?” said Sen. Bam. “Ang uunahin namin ay ang taumbayan, at makikita niyo na ito ang nagbubuklod sa amin sa Otso Diretso,” the senator added. As principal sponsor of the free college law, Sen. Bam said it opens up opportunities for Filipinos to have a brighter future through education and helps poor families cope with everyday needs. “Sa halip na ipambayad sa tuition ang pinaghirapang pera, ngayon maaari nang magamit ito ng pamilyang Pilipino sa iba pang pangangailangan, lalo na ngayong mahal ang presyo ng pagkain,” said Sen. Bam. Sen. Bam was one of four senators who stood up against the ratification of the Tax Reform for Acceleration and Inclusion (TRAIN) Law based on his firm belief that it will burden the Filipino people with high prices of food and other goods. “Tumayo tayo kontra TRAIN Law dahil alam natin na ito’y malaking pabigat sa ating mga kababayan, lalo sa mga mahihirap,” said Sen. Bam, who has 35 laws to his name in almost six years as senator. 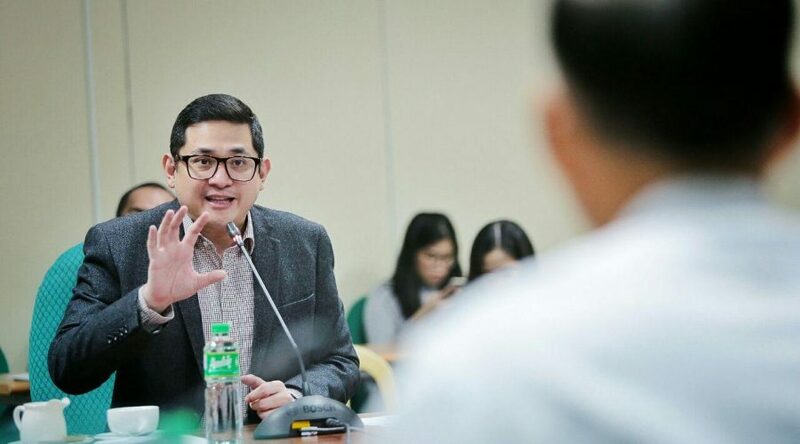 Instead of resorting to delaying tactics, the Department of Budget and Management (DBM) must look for ways to deliver the government’s obligation to increase salary of its workers, according to Sen. Bam Aquino. “Kung ayaw may dahilan, kung gusto may paraan,” said Sen. Bam as renewed his call to the DBM to use the Miscellaneous Personnel Benefits Fund (MPBF) for the salary hike of government workers. “Delay is not an option. The Budget Department should find ways to deliver on its duty to implement the fourth tranche of salary increase for public servants,” added Sen. Bam. Sen. Bam contended that the MPBF is enough to cover the first month of the fourth and final part of the salary increase for government workers under the Salary Standardization Law (SSL). In the 2018 budget, the MPBF is close to P100 billion while the salary increase requirement for January 2019 is less than P5 billion. “Hindi naman natin hinihingi sa DBM na pondohan ang buong taon kundi ibigay lang ang unang buwan ng umento sa sahod habang inaantay na maipasa ng Senado ang 2019 national budget bago matapos ang Enero,” said Sen. Bam. Sen. Bam said the salary increase could ease the burden of Tuesday’s oil price hike due to increase in world oil prices that could lead to further rise in prices of goods. “Huwag na sanang pag-antayin ng DBM ang mga manggagawa sa gobyerno. Napakalaking tulong ng salary increase para sa ating government workers para kayanin ang pagtaas ng presyo ng langis at lalo pang pagmahal ng presyo ng bilihin,” added the senator. On Monday, Sen. Bam filed a resolution expressing the sense of the Senate that the DBM should utilize the MPBF for the fourth instalment of the salary increase for government workers. Aside from Sen. Bam, fellow opposition senators –Minority Floor Leader Franklin Drilon, Francis Pangilinan, Antonio Trillanes, Leila de Lima and Risa Hontiveros – signed Resolution No. 982. In his Resolution, Sen. Bam insisted that the DBM is authorized to release and pay the salary increase immediately, without the need for further approval from Congress. Filipino families, especially the poor, are pushing for the immediate passage of the “Bawas Presyo Bill”, saying the measure can help alleviate their suffering from high prices of goods due to the Tax Reform for Acceleration and Inclusion (TRAIN) Law. “Kung ayaw man ito pansinin ng administrasyon, ang taumbayan na ang nagsasabi na certified urgent ang Bawas Presyo Bill. Hindi na raw sila makahinga sa taas ng presyo. Kahit anong kayod, hindi na makaahon ang mga pamilya,” said Sen. Bam Aquino, referring to his Senate Bill No. 1798. “Nasa harap na natin ang solusyon pero ayaw tumbukin ng economic managers ng gobyerno,” said Sen. Bam. According to Sen. Bam, he has been receiving the same complaint from Filipino families about the burden of high prices of goods and services during his consultations with various sectors in different parts of the country. “Tuwing bumibisita ako sa mga komunidad sinasabi ng ating mga kababayan na nalulunod na sila sa mataas na presyo ng bilihin,” said Sen. Bam, one of four senators who voted against the ratification of the TRAIN Law. “Ang sabi ni Mang Siming na tricycle driver sa Isabela, ang mga suki niya dati, naglalakad na lang kahit tirik ang araw para makatipid. Kumokonti ang kaniyang kita, tumataas pa ang presyo ng gasolina,” said Sen. Bam. “Si Mang Mike naman, na magsasaka at may dalawang anak sa high school at dalawa sa kolehiyo, nababawasan na ang binibigay na baon at pamasahe sa kanila araw-araw,” added Sen. Bam. Sen. Bam stressed that the “Bawas Presyo Bill” could alleviate the plight of poor Filipino families, jeepney and tricycle drivers, farmers and fishermen. “Sa Bawas Presyo Bill, bababa ang presyo ng diesel, gasoline at kerosene para mabigyan ng ginhawa ang mga Pilipino sa taas-presyo,” said Sen. Bam, adding that the government should address the rising inflation by supporting the passage of his measure. Sen. Bam said the immediate passage of the measure is vital since the second round of increase in excise tax on fuel under the TRAIN Law will take effect in January 2019. 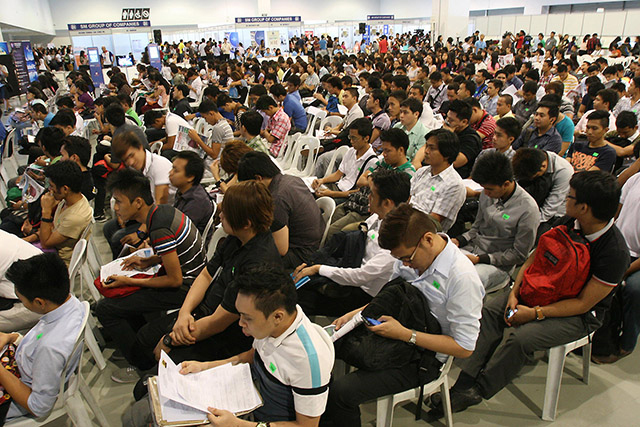 A senator warned that employment of many Filipinos will be on the line once the government pushes the enactment of the second tax reform package, which aims to remove the tax incentives being enjoyed by certain firms. 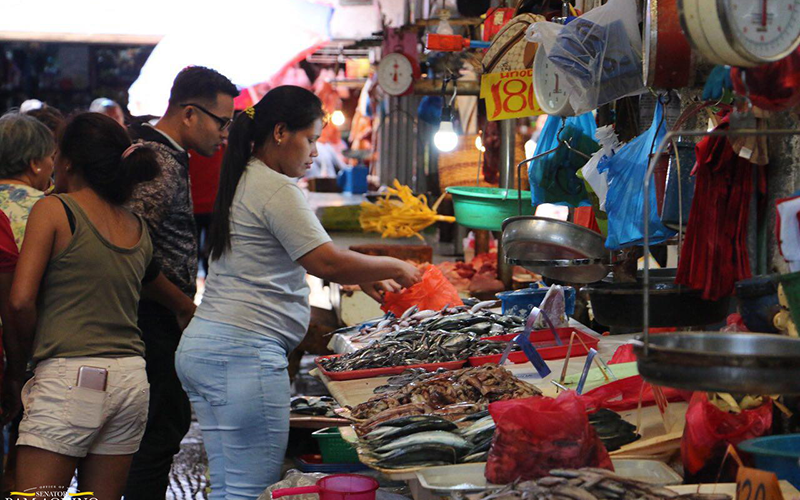 “After the increase in prices of goods and services, the government will put the jobs of many Filipinos in peril by removing incentives to some businesses,” said Sen. Bam Aquino. “Kaliwa’t kanang suntok ang ibibigay ng pamahalaan sa taumbayan. Tumaas na nga ang presyo ng bilihin, ngayon naman, maraming kababayan natin ang posibleng mawalan ng trabaho,” Sen. Bam added. Sen. Bam stressed that if the tax incentives being given to PEZA-accredited firms are removed, many companies would be forced to close shop, affecting the employment of many Filipinos. Also, Sen. Bam said investors eyeing to put up shops in economic zones will shelve their plan once the second part of the government’s tax package is enacted. The senator called on the government to further study the impact of the second tax package to Filipinos, saying the effects of the initial package have burdened the public with high prices of goods and services. In a latest survey by Pulse Asia, 98 percent of 1,200 respondents claimed the prices of basic goods they usually purchase have increased since January of this year due to the Tax Reform for Acceleration and Inclusion (TRAIN) Act. Around 86 percent of respondents said they were strongly affected by the increase in prices of goods, 13 percent were “somewhat affected,” and only one percent said they were not affected at all. “The government should first consider reviewing the TRAIN Law before inflicting additional burden with the passage of the second package,” said Sen. Bam. Sen. Bam has filed Senate Resolution No. 704, calling on the appropriate Senate Committees to conduct a review of the TRAIN Law, claiming it greatly contributes to the increase in prices of goods and services that burdens Filipinos, especially the poor. Sen. Bam also filed Senate Resolution No. 597, urging the appropriate Senate committee to scrutinize the implementation of the unconditional cash transfer to ensure that it is sufficient to cover the increase in prices of goods and other services. 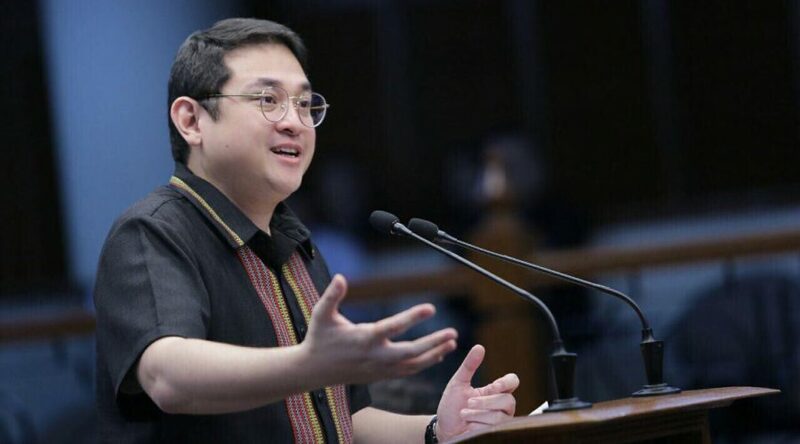 In light of the deportation order against Sister Patricia Fox, Senator Bam Aquino renewed his call for the passage of his measure seeking to give permanent residency to foreign religious workers and missionaries as recognition of their work to promote the welfare of the poor. “Foreign religious workers like Sister Fox are partners for change. Many of them are fighting for the rights and welfare of the poor through outreach work and social missions,” Sen. Bam said in Senate Bill No. 702 or the Permanent Residency to Qualified Religious Workers Act. In his measure, which was filed last July 20, 2016, Sen. Bam emphasized that foreign religious workers have sacrificed a lot, including leaving the comfort of their homes and their families, just to serve the Filipino people. “These are devoted individuals who intend to live the rest of their lives serving the Filipino people,” Sen. Bam stressed. The measure seeks to amend Commonwealth Act No. 613, otherwise known as the Philippine Immigration Act of 1940, to spare foreign religious from burdensome requirements and procedures to stay in the country and performing their chosen vocation here that benefits our communities. “This bill seeks to assist the many religious workers who have already dedicated long years of their lives to their missionary work and vocation in the country,” said Sen. Bam. According to the senator, the measure is also aimed at updating the antiquated immigration law to better address the changing needs and demands of the increasing globalized and interconnected international community. 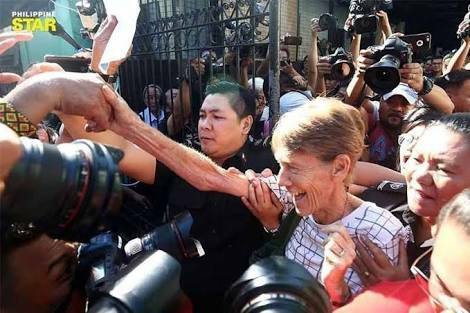 Earlier, Sen. Bam condemned the deportation order against Sister Fox, saying the government overlooked the missionary’s help to poor Filipinos just because she fought for their cause. Sen. Bam has committed to file a resolution to investigate possible abuses in the deportation of foreign nationals. In the 16th Congress, Sen. Bam filed Senate Resolution No. 260 to ensure that the freedom of expression of foreign nationals is not curtailed. 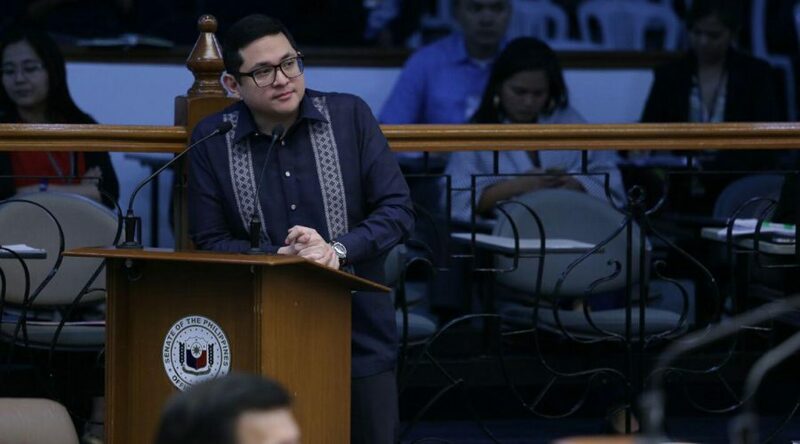 Sen. Bam Aquino welcomed the Senate’s commitment to pass four measures that aim to focus on the welfare of Filipino students, scientists and strengthen support for the country’s research and development and start-ups. “Masaya tayo sa suportang ipinapakita ng Senado sa mga panukalang naglalayong palakasin ang suporta sa ating mga estudyante, negosyante at scientist,” said Sen. Bam, chairman of the Committee on Science and Technology. “Nagpapasalamat din tayo sa mga kapwa ko senador na tumutulong na lalo pang mapagbuti at mapaganda ang mga panukalang ito para sa kapakinabangan ng maraming Pilipino,” he added. The Senate has committed to pass a number of measures this year, among them are the Innovative Startup Act, Magna Carta for Scientists Act, Balik Scientist Bill and the Pagkaing Pinoy Para sa Batang Pinoy Act. Sen. Bam is principal sponsor of all four measures. The Innovative Startup Act, Magna Carta for Scientists Act and the Pagkaing Pinoy Para sa Batang Pinoy Act will undergo period of amendments this week. The Pagkaing Pinoy para sa Batang Pinoy Act aims to institutionalize a feeding program to provide proper and nutritious meals to kindergarten to Grade 6 students. Aside from Sen. Bam, other co-authors of the measure are Senators Grace Poe, Gringo Honasan, Zubiri, Tito Sotto, Legarda, Cynthia Villar and Joel Villanueva. The Innovative Startup Act aims to give necessary support for business startups to help them thrive and compete in the market. The amendments to the Magna Carta for Scientists aim to streamline the process of providing benefits and incentives to S&T government personnel. Aside from Sen. Bam, other co-authors of the measure are Senators Loren Legarda, Sonny Angara, Koko Pimentel, Juan Miguel Zubiri and Sherwin Gatchalian. Passed on third and final reading and just awaiting the start of the bicameral conference committee, the Balik Scientist Bill seeks to provide overseas Filipino scientist with financial benefits and incentives to encourage them to return to the Philippines and help boost the country’s research and development. Principal sponsors have the responsibility of prioritizing bills in their respective committees, conducting hearings on bills assigned to their committee, defending the measures during the period of interpellation, consolidating proposals and amendments to their reforms, and leading the bicameral conference before a bill is passed into law. In his four years as senator, Sen. Bam worked for the passage of 19 laws, 11 as principal sponsor. Senator Bam Aquino renewed his call to the government to hasten the implementation of the cash transfer program to help 10 million poor Filipino families bear the effects of the Tax Reform for Acceleration and Inclusion (TRAIN) on the prices of goods and services. “Kung talagang seryoso tayong gawing positibo ang epekto ng TRAIN sa ekonomiya at sa lahat ng kababayan natin, itong programang ito na tutulong sa 10 million Filipinos – 10 million Filipino families, should be in place at the soonest possible time,” Sen. Bam said in a television interview. Sen. Bam pointed out that the funds needed for the cash transfer program was already included in the 2018 budget and the exact date of its implementation is the only issue. “Hopefully, the Departments of Social Welfare and Development (DSWD) and Department of Finance (DOF) will speed up the process. Sana huwag nang patagalin ang programang ito, gawin nila as fast as they can, and as efficiently as possible,” Sen. Bam emphasized. Based on the recommendation by the DOF, the law provides a cash grant of P200 a month to poor families on the first year. The monthly financial assistance will be increased to P300 for the second and third year to help cover the increase in prices of basic goods. During the measure’s period of amendments in the Senate, Sen. Bam pushed for the immediate implementation of the financial assistance program to help poor Filipinos absorb the expected increase in the prices of goods and services. However, Sen. Bam’s proposal was not accepted, prompting the senator to vote against its ratification. “Without a cash transfer program in place, poor Filipinos will bear the brunt of the increase in prices of goods and services due to the TRAIN,” Sen. Bam emphasized. Also, Sen. Bam called on the government to be transparent in the selection and disbursement of the cash transfer program. “Aside from ensuring that it will be implemented at the soonest possible time, the government must conduct its rollout without any political patronage or accommodation,” added Sen. Bam. A senator warned that the increase in prices of gasoline due to the Tax Reform for Acceleration and Inclusion (TRAIN) may have a domino effect on the prices of goods and other services in the market. “Nakakabahala ang pagtaas ng presyo ng bilihin dahil sa pagpataw ng buwis sa langis. Dagdag gastos na naman ito sa pamilyang Pilipino,” said Sen. Bam Aquino, who rejected the TRAIN’s ratification in the Senate. The TRAIN mandates the imposition of excise tax of P2.50 per liter on diesel and bunker fuel starting this year, P4.50 in 2019 and P6 in 2020. For gasoline, the excise tax will be increased from P4.35 per liter to P7 this year, P9 in 2019, and P10 in 2020. Sen. Bam said the increase in prices of petroleum will lead to an increase in prices of goods, which will ultimately fall on the shoulders of consumers, especially poor Filipinos, who are currently struggling to make ends meet. “Sa huli, mahihirap na Pilipino pa rin ang papasan at magdurusa sa epektong dulot ng TRAIN sa presyo ng bilihin,” added Sen. Bam, who voted against the TRAIN’s approval due to the inability of government to implement a financial assistance program in time for the increase in prices due to provisions on excise tax on fuel and sweetened beverage tax. 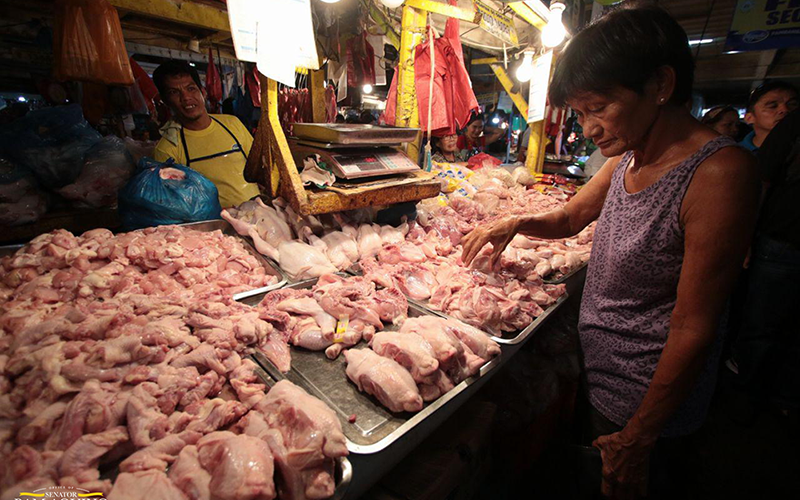 The Department of Finance (DOF) proposed a cash transfer program with a P200 monthly financial assistance on the first year and P300 monthly financial assistance for the second and third year to help cover the increase in prices of basic goods. Sen. Bam pushed for the immediate implementation of the cash transfer program to help poor Filipinos absorb the expected increase in the prices of goods and services. However, Sen. Bam’s proposal was not accepted by during the period of amendments in the Senate. “The government must speed up the implementation of the cash transfer program so poor people won’t be burdened by the increase in prices,” said Sen. Bam. The lawmaker is also hoping that the increase in take-home pay will be enough to offset the increase in prices of goods and services. As the world celebrates International Day of Persons with Disabilities on Sunday (Dec. 3), Sen. Bam Aquino reiterated the call for the passage of his two measures that support Filipino PWDs and provide them with the needed assistance. “We need to ensure that our PWDs are given proper assistance and opportunities to make a living,” said Sen. Bam, who filed Senate Bill No. 356 and 1249 in the 17th Congress. Under Senate Bill No. 1249, government agencies and private offices must allot two and one percent of their workforce, respectively, to PWDs. 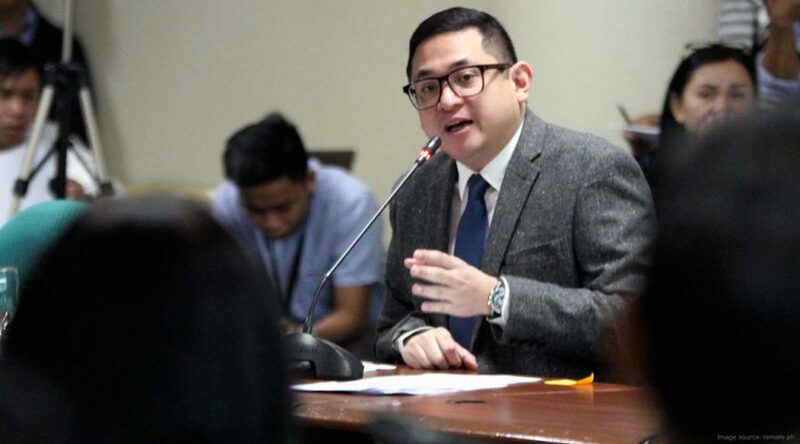 “This bill seeks to create more job opportunities for PWDs in the workforce and provide commensurate compensation, benefits and employment terms for PWDs as any other qualified employee,” Sen. Bam said. Senate Bill No. 356 aims to provide mandatory Philhealth coverage for PWDs, to ensure that their health is protected. “Social services should be provided to those with the least in society. Health services should be provided to those who need it the most,” Sen. Bam said, referring to Senate Bill No. 356. The two measures aim to amend Republic Act 7277 or the “Magna Carta for Persons with Disability” to accommodate the latest benefits and privileges for PWDs. In the 16th Congress, Sen. Bam worked for the welfare of PWDs as co-author of Republic Act 10754 in the Senate. The law exempts PWDs from paying the value added tax (VAT) and gives tax incentives to persons with PWD dependents, up to fourth civil degree of consanguinity or affinity.